Hi from South Australia! Summer has come! Our flagship hospital and one of the most expensive buildings in the Southern Hemisphere, the New Royal Adelaide Hospital (nRAH), came online in September 2017 after a 2 year wait. Another big change to the South Australian Hospital System is that the Repatriation General Hospital is gone. Where did the subspeciality clinics go? See below! Bernie Cummins (see below) previously spoke to the Southern Regional GP Council about Outpatients Services in SA and she generously spoke to us again about how things will proceed over the coming months and years. Here is some information she prepared. You can find further information right here. 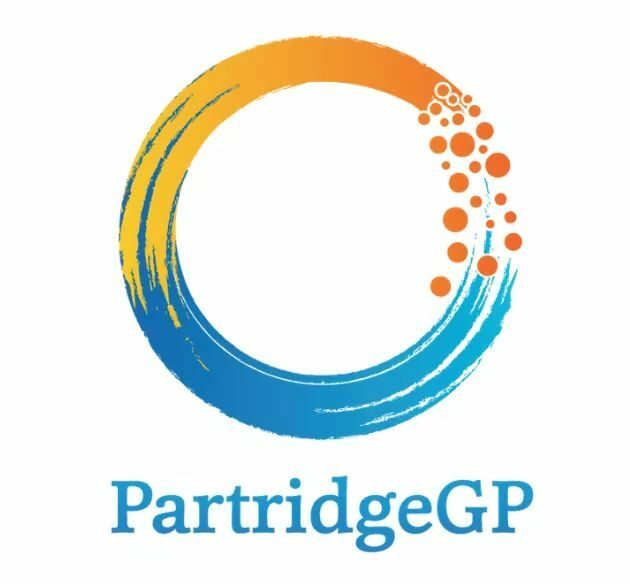 The good GP has a stewardship role in the Australian medical system and part of this is referring to subspecialist and hospital care. This is an important role and we don’t take it lightly. We want to do our best for our patients and help them get the care they deserve. One of the challenges is referring to public hospitals, where our referrals sometimes get ‘bounced’ back to us. In private practice, for the patient to receive a (Federal) Medicare Benefit (like when you see Your GP), the GP referral must be to a named provider (Dr Smith, Dr Jones, for example). When referring to a public hospital, there has historically been no Medicare rebate for the patient – public hospitals are funded by the State Governments and Medicare is funded by the Federal Government, and care is free at the point of service. This is changed recently, and public hospitals are now using Medicare funds to run their services. Therefore they now seek named referrals. But to who? It’s very hard to find out exactly which doctor will be seeing you, and so it’s hard to do a named referral, which may delay you being seen. So, as a public service, we’re Here to Help! 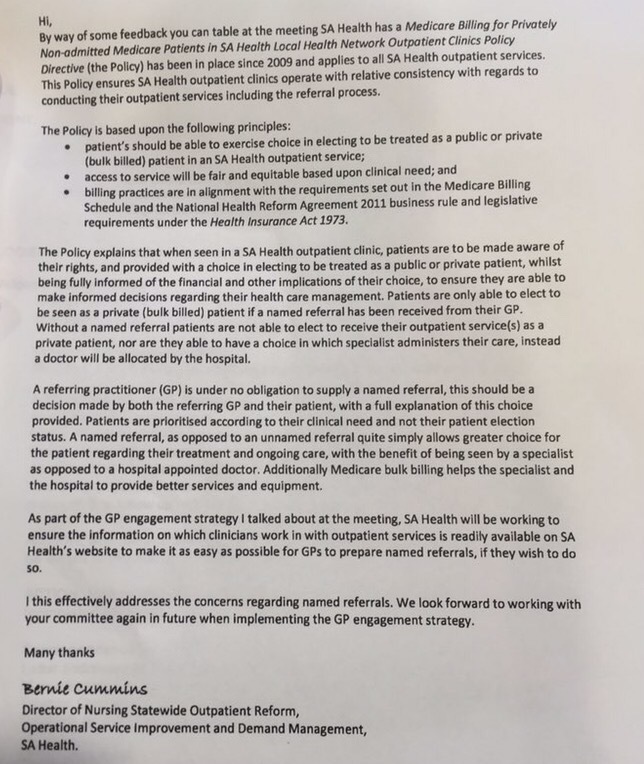 Bernie Cummins (Director of Nursing Statewide Outpatient Reform) has provided the following documents to help GPs and patients navigate this system and avoid the ‘named referral bounce’. Good luck, and may the odds be ever in your favour!